Whoa! This would be pretty scary stuff if you couldn’t immediately tell it was a spam email. Unfortunately there are some less internet savvy people who would want to plea for their life and respond to this email, which is exactly what spammers want. Spam emails aim to either infect your computer with malware and viruses or collect your personal information, called phishing. Phishing is particularly dangerous as spammers pose as banks and other trusted organizations like Paypal, to acquire your personal information, email address, passwords, credit card details and even social security numbers. To best protect not only your computer system but your personal information, it’s important to know how to identify spam email. The “You’re a winner!” message – What are the chances of you winning a prize without entering a contest? There’s no one randomly giving away a million dollars. The unexpected message from a friend you haven’t heard from in years – Be skeptical when receiving emails from someone you don’t interact with regularly or a business you’ve never dealt with. The update your account message – You can bet that any message from a bank or social networking site telling you to click a link to update your settings is fake. Don’t ever click that link. The emergency message from a stranger – Unless you’ve signed up to be on a humanitarian mailing list, no stranger will email you asking for help. The “forward this to 10 others or else…” message – Just don’t do it. By now it should be obvious that any emails from wealthy Nigerians, lonely Middle-Eastern women, and contract assassins are spam emails and should be deleted before opening. However, spammers are getting more creative and sometimes it can be hard to distinguish if an email is legitimate or not. 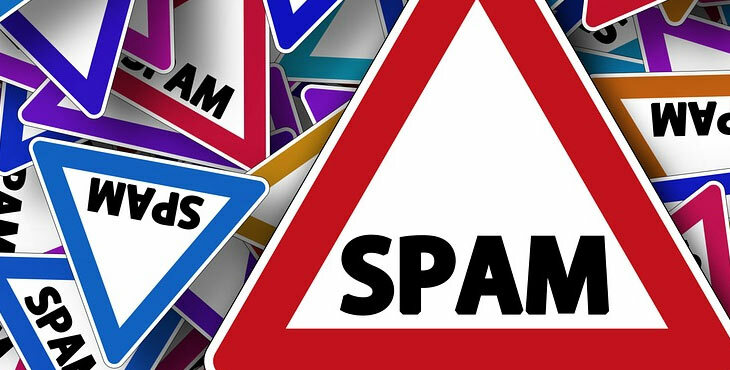 Here are a few tips to further identify spam emails. Notice the email address the message is coming from, if it looks fake it probably is. Read the subject line before opening the email, you can probably tell if it is spam right away. Generic greetings such as “Dear Customer” are an indication that the email is spam. If the email is asking you to do something right away or within a specified amount of time it is spam. Any legitimate website or business will simply tell you to log into your account to change your settings, if the message is asking you to reply with information or click on a link to change account settings it is spam. Mouse over links to see if the URL that appears in the message matches what is in the status bar; if it doesn’t then you know its spam. Does the message have weird spelling and random punctuation? Spammers are not too concerned about grammar. If you’re uncertain about a message, copy & paste some of the text into a search engine and see if multiple results return saying it’s a hoax or spam. If you can already tell the message is spam, delete it right away without opening. Do not open any email that requires you to download an attachment to see the content of the message. Do not reply to anyone who has sent you email spam. Do not give out personal information over email, ever.